Runners have it good when it comes to GPS watch choices. There are more options than there are days in the year, and every month it seems like a new watch is released to the market. In fact, a quick stop over at DC Rainmaker (let’s be honest, if you can get away from there in under an hour, you are lucky!) will show you just how many choices there are. My goal with this post is to help narrow down the dizzying amount of choices, with a specific focus on ultra running. This is not a comprehensive list of all GPS watches out there, and there may be watches that aren’t on my list for one reason or another, but that doesn’t mean they won’t work for you. In my opinion, in addition to the basic features such as being able to track via GPS, there are two key factors to consider when choosing an appropriate watch for ultra running. These are important factors to consider when comparing watches. This is probably one of the most important features for typical ultra runners as most of the longer races (50 mile and up) will take more time than most of the GPS watches available can handle, with the exception of elite runners. Most GPS watches on the market, regardless of brand, max out at around 8-10 hours of battery life. If you are that fast, then your options are much broader than they are for the rest of us and you may want to expand your search beyond my list below. This is important in the REALLY long races (125km+) where no watch can last the entire time. As it stands today, 24 hours is about the most you can expect to get out of the newest most expensive watches, despite grandiose marketing claims made by some companies. Fortunately, these watches can all be charged with a portable battery charger (like this Anker Powercore+ mini) without interrupting the activity in progress. Garmin Forerunner 920XT does have a 24 hour battery, but it cannot be charged while in use so it would be good for shorter ultra runs/races or elite runners doing longer races. UPDATE: It turns out there is a workaround to enable charging while tracking. Check out this video for details. Epson Runsense SF-510 ([amazon_link asins=’B012D4OE0W’ template=’PriceLink’ store=’rualthtr05-20′ marketplace=’US’ link_id=’c23c29ed-e05a-11e6-9639-3f6f38b69c4e’]) and Epson Runsense SF-710 ([amazon_link asins=’B012D4IEUI’ template=’PriceLink’ store=’rualthtr05-20′ marketplace=’US’ link_id=’cdb3cd5c-e05a-11e6-af49-392c6a936c85′]) have a 30 hour battery life and the Epson Runsense SF-810 ([amazon_link asins=’B012D4MC2O’ template=’PriceLink’ store=’rualthtr05-20′ marketplace=’US’ link_id=’de50e2f1-e05a-11e6-9b1a-e7ad48dc0f32′]) has a 20 hour battery life if using the integrated optical heart rate monitor. The Epson ProSense 307 also has a 20 hour battery. These watches cannot be charged while in us, but due to the battery life, they would be good for most ultra distance races for many runners. Is the Apple Watch a good option for ultra running? In short, no. The original Apple Watch didn’t have a GPS chip so it relied on a connected iPhone, which meant that not only did you have to carry an iPhone, but it would drain the iPhone battery more quickly. Coupled with the dismal battery life of the Apple Watch, the lack of waterproofing (or sweatproofing), it made for a poor combination. The newer Apple Watch Series 2 now has a GPS chip, but still lacks the ability to track elevation so for any trail or ultra runners, this is a problem. The battery life is also very poor at less than 5 hours in most cases. Ginger Runner did a very in-depth review if you want a second opinion, but I would give the Apple Watch Series 1 and Apple Watch Series 2 a hard pass for ultra running. I found a Suunto Ambit 2 or Ambit 3 for half the price of other Ambit watches, why don’t I just buy that? Suunto offers lower cost models with significantly shorter battery life, so you need to be careful when shopping around. Specifically they offer the Ambit 2R, Ambit 2S, Ambit 3 Run, and Ambit 3 Sport models, which are not ideal for ultra running and racing purposes due to shorter battery life. They can be charged while continuing to track so they are an option if you don’t mind recharging once or more during a race. I found a watch that says the battery will last for 50, 75, or 100 hours, can’t I use that? Many watches will advertise a battery life that makes it seem like it will work for you (50 hours+) but it’s important to note that those watches generally have a special mode that only records GPS data every minute instead of every second, which translates to significantly less accuracy. The good news is, some of these watches may be on my recommended list above, so even though they don’t get the claimed 50 hour battery life, they may still be an ideal option. Which brand is better, Garmin, Polar, TomTom, Epson, or Suunto? This really boils down to personal preference. All five companies make excellent watches with various features, so you need to decide for yourself what you prefer. I’d suggest you figure out your criteria such as price, preferred race distance, etc., do some research at DC Rainmaker, and purchase the watch you feel works best for you. Which watch(es) do you use? I’ve always been a fan of Garmin watches and they were my go to watch when I first started running. 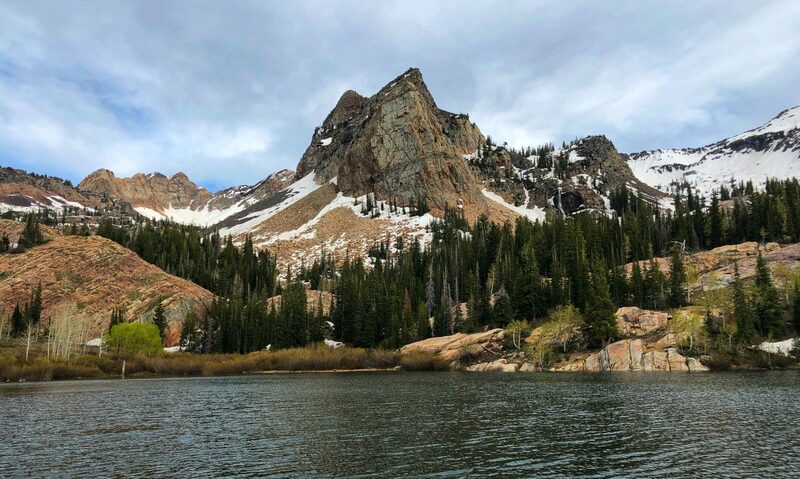 I used a borrowed Garmin Forerunner 910XT for my first ultra, the Squaw Peak 50 in Provo, UT, and it easily lasted the 16 hours and 32 minutes it took me to complete the race with battery life to spare. For my second ultra, The North Face Endurance Challenge Series in Park City, UT, I used a Garmin fenix 2 which easily lasted the 13 hours or so until I had to DNF due to missing a cutoff by 4 minutes (thanks to a nagging achilles issue). Since picking up an Epson Runsense SF-710 earlier this year though, I haven’t been able to go back to my fenix 2. So there you have it. A comprehensive list of the best watches for ultrarunning and ultra racing. I hope you find this information helpful. Let me know in the comments below if I missed a watch that you swear by for ultra running, or let me know which watch you use? The Suunto Ambit 2R DOES charge while running AND it continues to display all stats. You need to add that to your list, especially considering the cheapness price-wise, yet extremely durable 2R… Very good for ultrarunning. Thanks for letting me know. I’ll update the post and make a note that the R and S variants can also be charged while in use, although with an 8 hour battery life to begin with, I don’t know that I’d consider them for longer efforts. You’d be recharging them multiple times (or have to carry multiple portable chargers). So usable for an ultra, but not optimal in my opinion. Been looking for a new watch for a while and was heading towards the Garmin 920XT as it’s got great multi-sport functionality. One question I have on this article (and it could change my thinking), how do you charge up a watch during a run? You can’t. That’s one limitation of the 920XT. Garmin claims that with a 20 hour battery life, it’s not necessary, but the reality is, if you do anything longer (100km, 100m ultra races), the 920XT won’t last long enough. Hi Ryan. Will any portable usb charger work with my garmin fenix3? I noticed that most are advertised as phone chargers. Thanks! Ryan, Thanks for the great information. I do not wear my glasses for runs and I need a bit more font size than my FR210. I am also going to upgrade to a better watch soon. 1) Which one on your list above might have the largest font? 2) Do all of these have the same accuracy? My FR210 always seems to loose distance in wooded areas. I don’t have experience with all them to tell you which ones have the biggest font, but in general the Suunto watches tend to have larger fonts in my experience. In terms of accuracy, generally speaking newer watches have newer GPS chips and will be more accurate than older watches. There’s always a debate between brands though and everyone seems pretty divided on it. I’ve always used Garmin watches and the accuracy has been good enough for me. For #1 and #2, those are terrible features that just compromise the accuracy of your activity. In one case, waypoints are only logged every 60 seconds instead of every second, and in another, waypoints are only logged when there is a significant change in pace, direction, or heart rate. The third item (vibration alerts) has been linked to unexpected reboots of the device, so for safe measure, I just recommend turning it off. I’ve used my Fenix 2 on a race that took 17 hours and it had no problems with data storage or accuracy. My guess is that you just need to clean up all your old activities off the watch to reclaim the space. Out of the box, it should have plenty of storage for a 100 miler and especially for a 10 hour race. Perfect! I will have to share this with my buddy. He is running his first 50k in a month or two. Thanks for the details on all these items. I wonder if these would be good for backpacking or camping trips? 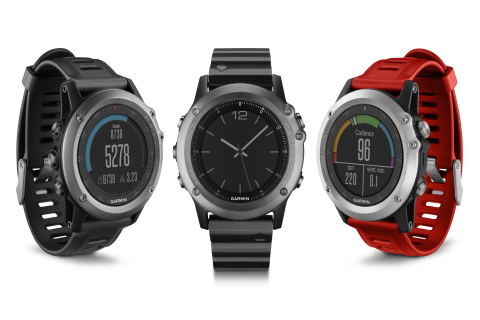 Not all of them would be ideal for backpacking/camping since they lack navigation features, but the Garmin Fenix watches and the Suunto Ambit watches do have navigation capabilities so they would be great for that use. Hi Ryan. I only have a limited budget, so trying to get the cheapest watch with good battery life with good accuracy. I’m not bothered about loads of features as long as the basics work well. I was thinking the Epson runsense SF-510 as I’ve seen these on amazon for £64.99. Do you think this is a good option or do you have any better suggestions? I currently do 50 miler but may move up to 100 milers in the next year or two so 30 hours battery should be fine. I think that’s a great option! I’ve been using the Epson Runsense SF-710 for the last few months and love it. Ran a 100k and 50k with it and had plenty of battery life. Thanks for getting back so quick Ryan. Just wondering what do you get extra or better with the 710. It’s an extra £15 so not breaking the bank. It’s my GPS watch and want to make the right choice. You have been a great help already. The only main differences I’m aware of are vibration alerts and customizable lap settings, plus the ability to display more items on the watch during an activity such as total ascent and total descent which I find useful since I run in the mountains. I don’t think you can go wrong either way. Sorry to bother you but do you have any recommendations for the best GPS watch for specifically the Marathon des Sables? I have signed up to hopefully complete MDS 2017 and am looking for any advice on the correct purchase? I haven’t personally experienced MDS, but given that it’s a stage race and each stage is relatively short, any of the watches above would work. I’d recommend possibly a solar based charging device (Goal Zero Nomad 7, Enerplex Kickr II, etc.) to charge a portable USB battery during the day, and then use that to recharge your watch at night. I’m looking to get my boyfriend a garmin. He’s a trail ultra runner and has a 75 mile race coming up. He says he needs at least 18 hrs gps battery life. The only garmin I can see that has that is the Forerunner 920 xt. Is that pretty accurate or am I missing something? Any of the watches in this post would be good options. The 920XT is probably not the best option since it cannot be charged on the go. It *should* last 18 hours, but no guarantees and if he takes longer for any reason, which is likely to happen in a 75 mile race, he risks the watch dying before he finishes. Depending on your budget, I’d recommend the Epson Runsense SF-710 (currently $169 on Amazon with a 30 hour battery – http://amzn.to/2crZPLi) or the Garmin Fenix 3 ($499 on Amazon – http://amzn.to/2cmNREA). Hi, I’m doing my first ultra run in Jan 2017 in sunny old Ireland 🙂 and have noticed that there is an element of navigation required. Is there a watch/device that’ll allow me to download the map from the organiser to make life a little easier. I already own a Garmin forerunner 310xt. Congrats on doing your first ultra, that’s exciting! The Garmin Forerunner 310XT does allow you to import routes and navigate with them on the device. There are numerous article and videos online that show you how to do this, but here’s a really good one from DC Rainmaker: http://www.dcrainmaker.com/2010/03/how-to-create-mapscourses-for-your.html. If you fancy a new watch, the Garmin Fenix 3 and Suunto Ambit 3 Peak are good options as well that facilitate navigation. Thank you so much for your prompt reply..
I’ll have a good look into the links. Can anyone advise what the actual battery life on the Apple Watch is, when using the iPhone as a GPS unit. I.e. what is the battery life on the iPhone and the Watch? The Apple Watch Series 2 only has 5 hours of battery life with GPS enabled according to an official statement from Apple. It’s generally a terrible watch for running for that reason. It also can’t track elevation changes which is another knock against it. If you are doing half marathons, then it will work but anything longer and you’d run in to battery life issues. I’m looking for a watch that could be remotely accessed while I’m on a run, in case I get lost or something happens that would require someone to need to come get me in the middle of a trail race. Is there a watch with this feature? Most watches (with the exception of the Timex One GPS+ watch which was an otherwise terrible watch) don’t have any type of cellular network or satellite connectivity. There are a few options, keeping in mind that most of them require piggy-backing off your phone so they are dependent on coverage. If you are in a very remote area with no cell phone reception, most won’t do you much good! Option 1: Garmin Livetrack – This is a feature many Garmin watches have that let someone follow you live on the internet. The watch sends GPS location updates through the app on your phone and people can follow along. Option 2: Phone apps. Many apps like the RoadID app, Strava app, etc. have a similar feature that let’s someone follow you online. Option 3: Satellite tracker. Devices from Spot and Delorme will use satellites to provide location information and they don’t rely on cellular networks so they work everywhere around the world. The downside is, these units tend to be more expensive and have a monthly or yearly service fee (while the previous two options have no additional costs). During a race, I wouldn’t be overly concerned about being found since there are generally other people on the course plus sweepers and in some races, medical staff. Ryan. hello from India. This is such a great article to start with. I did my 100k in March this year and my watch (gear fit 2 by Samsung, don’t laugh please 😐 ). This was a gift from my friend and I realise it’s a terrible watch when it comes to distance running (battery life 3-4 hours, on gps and HR). I’m planning to buy a new one, and I see Epson Runsense 810. I really like it. Wondering if you have any other recommendations in the same price category with 20-30 hours of battery life and gps (HR is optional) . Thanks a ton!! All of the watches in this article would work great for you, but I’m particular to the Epson watches due to the exceptional value. The Epson Runsense SF-710 has 30 hours of battery, Bluetooth, syncs to Strava, and just works and has been hovering around $110USD on Amazon recently. The Epson Runsense SF-810 adds optical heart rate, but only lasts 20 hours. Still plenty of battery for a 50k though! Good luck with your decision and your race. You really can’t go wrong with any of these watches! 1. Epson has no support for wearable section in India (they mainly do printers here), but strangely, they do sell on Amazon.in in India.. Although I am getting mine from the US, I was wondering if you faced any issues with the watch which warranted for a service centre visit? 2. Also, apart from HRM, is there anything else which defers in 710 and 810. If that’s the only thing then I might as well go for 710 since I plan for a 100 miler next year. I haven’t had a single issue with my watch so I haven’t needed to contact Tech Support or a service center for any reason. Optical HRM is the only difference between the 710 and 810. The official Epson Runsense app is not supported in India.. I had to do some tweaks before I could connect.. But the watch works great. I’m intrigued by the Epson runsense. But, as a slowpoke who still aspires to compete a 100 miler, I’ll need most of the 30 hour time limit, which would push the 710 to its limit, while surpassing the 810’s advertised service time. Do you know if these can be charged in-activity. I’m having some issues with my Garmin Fenix 2 and considering a move to something different. But I do like that I can hook it up to a battery pack and keep going. Unfortunately the Epson watches cannot be charged while in use, which does make them borderline for doing a slower 100 miler. Outside of that though, the Epson is better in every way compared to the Garmin Fenix 2 (which I also have). I actually haven’t used my Fenix 2 once since I got the Epson, and that was over a year ago! My strategy has been to use the Epson for every day training, and shorter races (50k, 50m, 100k) and when I get around to doing a 100 miler, I’ll get a Fenix 5 or borrow one from a friend. The Epson is just that good especially for the price! Hi Jeff, I am doing a 50 miler in a couple weeks. Looking to purchase a Garmin GPS watch. I want to be able to download the course onto the watch and also if possible allow my wife to track my progress from her phone/laptop. Is that possible? If it is possible, which model. Thank you! The only Garmin devices that really support loading up a route for navigation are the Fenix line. If money is no object, the Fenix 5 is what I’d recommend, but for less money you can get a Fenix 3 that has almost all the same functionality with the latest firmware update. The Fenix series does support LiveTrack which lets someone follow you online, but the catch is, it has to piggyback off your phone for that functionality. If you are running somewhere with poor or no cell phone service, you won’t be able to use this feature. I have the Suunto Ambit 3 Sport and the battery settings are 10 hour, 15 hour and 50 hour. I have used them from 5k’s to 100 milers. This watch is great for ultra running. I tell people that if they depend on the GPS for following the trail (breadcrumb or map) they should get (maybe in addition to a watch) a handheld. my personal preference is the eTrex 30x . 25 hour batter on 2 AAs, waterproof and can even record your heart rate with ANT. only downside, obviously, is the size and fact that it’s a handheld and not a watch but ultra runners carry bags with them anyway so I just put it on my vest’s chest pocket. Take a look on my video, where I explain how to do this. Press the power button – clip the watch into the charger and at the same time keep pressing the power button until you see the screen to turn your watch on/off. Don’t turn it off. And that’s the trick. It works like a charm. I wonder, are the Garmin engineers aware of this trick? That’s a really great workaround! I’m sure a lot of previously disappointed ultra runners will be happy that this was figured out! Thanks for sharing. I did not see the vivoactive on the list; however, I read somewhere that the vivoactive (the oldest version) can also be charged on the go. Could you confirm if that information is correct? Hi Ryan, great article, it’s a really flooded and complex market. e) moon on a stick! Good luck on UTMB and 10Peaks, hope you get in! Generally speaking, the only 2 watches that really have proper mapping are the now defunct Garmin Epix and the Fenix 5X. Most of the Ambit and Fenix watches though have navigation capabilities however. This means you can preload a route (via a GPX file for instance) and then follow it on the watch. It generally looks like a line on your watch with a triangle indicating direction, and as you move, the triangle moves. It’s easy enough to navigate with and can help if you reach an intersection for instance, but it’s not quite as detailed as using a full map. Depending on your specific mapping needs, I’d suggest an older Fenix 3/3HR which should be more affordable and match all your requirements (except item e) or a Fenix 5X if you need full blown mapping on your wrist. All Fenix and Ambit watches can be charged on the go so battery life shouldn’t be a concern as long as you bring a small portable USB charger with you.